Flying Dog Brewery in Frederick, Maryland, ranks No. 28 on the Brewers Association's new list of largest craft brewers in the U.S. based on 2017 sales volume, up from No. 32 on last year's list. 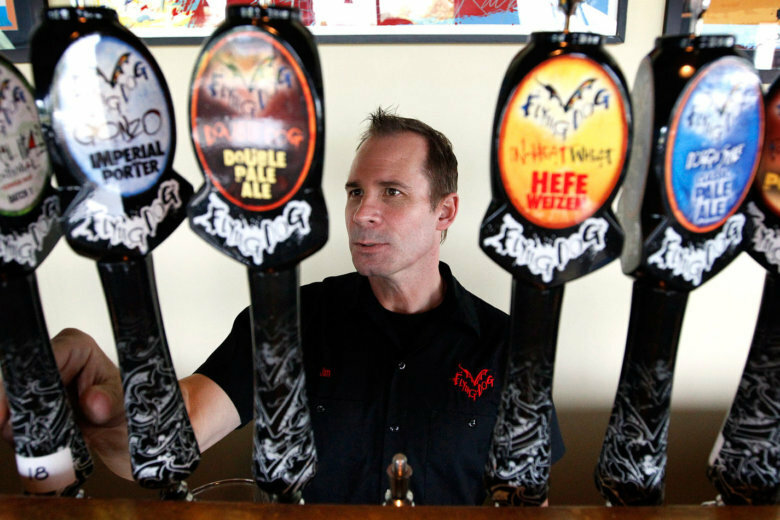 WASHINGTON — Flying Dog Brewery in Frederick, Maryland, ranks No. 28 on the Brewers Association’s new list of largest craft brewers in the U.S., based on 2017 sales volume, up from No. 32 on last year’s list. The Brewers Association won’t publish exact 2017 sales volume totals until the May/June issue of its The New Brewer magazine, but Flying Dog had sales volume of 101,337 barrels in 2016. Flying Dog is the only craft brewer from the D.C. region to crack the top 50, though No. 12 on the list is a familiar name: Dogfish Head Craft Brewery, brewed in Milton, Delaware, just outside of Rehoboth Beach. Dogfish Head had sales volume of 233,916 barrels in 2016. Its 2017 sales volume number will also be released in May. Craft beer purists won’t agree that the largest craft brewers belong on the list — D.G. Yuengling & Son, Boston Beer Co. and Sierra Nevada Brewing Co. — but all three meet the association’s definition of what a craft brewer is. It defines an American craft brewer as small, producing 6 million barrels of beer or less; independent, or less than 25 percent owned or controlled by an alcohol industry member that is not itself a craft brewer; and employs traditional brewing methods. For example, Pennsylvania-based Yuengling, the oldest beer company in the U.S., dating back to 1829, had 2016 sales volume of about 2.7 million barrels. 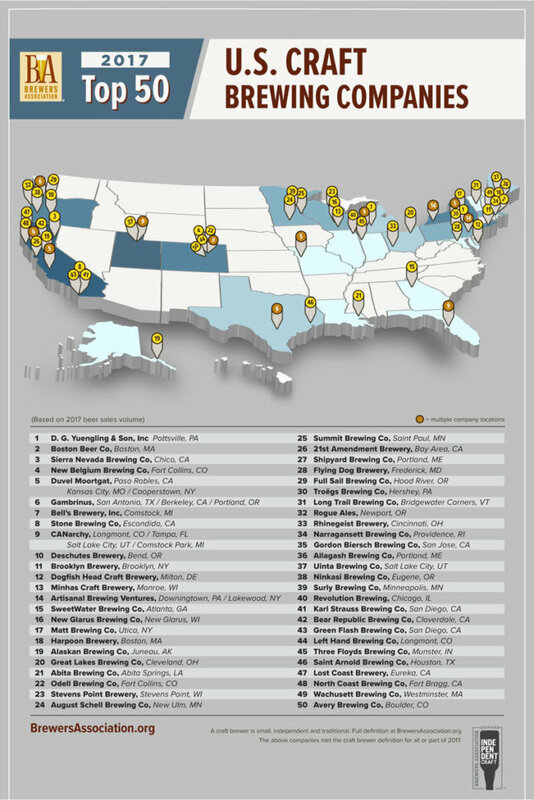 The Brewers Association’s top 50 list of Overall U.S. Brewing Companies is led by beer giants Anheuser-Busch Inc., MillerCoors, Constellation and Heineken, but the association notes that 40 of the 50 largest brewers qualify as small and independent craft brewing companies. Dogfish ranks No. 22 overall. Flying Dog ranks No. 38. The 50 largest craft brewers are spread across the country, but concentrated in the Northeast, Upper Midwest, Colorado, California and Northwest.